"WHAT THE BLEEP?" -Is Now- "WHAT THE BEAM!" 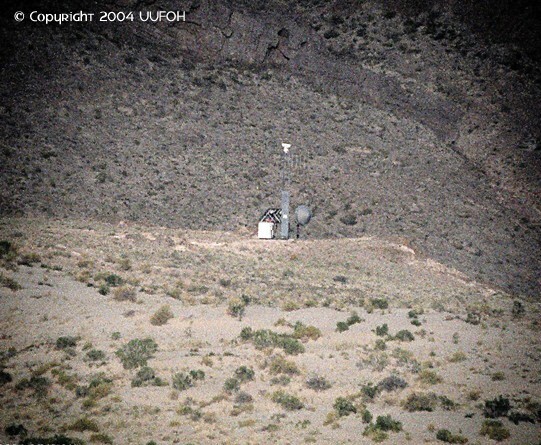 UUFOH Team members took many photos like this 35mm photograph of a dramatic unknown Beam Test near I-80 & Wendover. looking south towards the UTTR location from a public recreation area. The smell of ozone was noticed during the event. UUFOH members also experienced some physical effects. 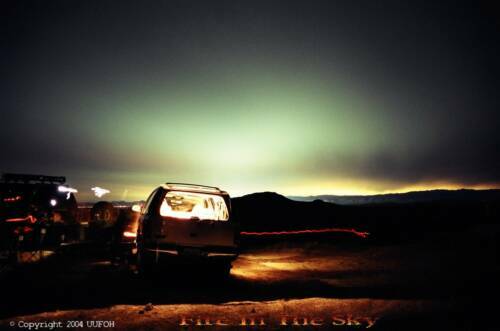 UUFOH took multiple 35mm long exposure photographs and video of the "Wide Open Secret " seen that night, some of the film might have been exposed to radiation or x-rays. "If There Are No Secret Projects, Then Who's Playing god?" l OK.... Then Who's Playing god? 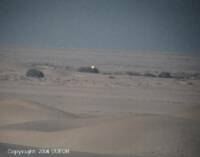 Strange Sight Witnessed by UUFOH Team During Skywatch "What The Beam?"! Recently on a UUFOH Team Skywatch, We said.... "What the bleep?" We are somewhat concerned about the events and reality of its effects. I personally feel this should be known. Is anybody watching this place? before they have a god Inc. mistake? in our backyard! In Utah, the US Army's Dugway Proving Ground wants a 200% increase in its biodefense activity, including BL3 lab upgrades and another aerosol chamber, a very controversial piece of testing equipment with many potential offensive uses. The Army has produced a huge draft environmental impact assessment (DEIS); but according to Steve Erickson of the Citizens Education Project in Salt Lake City, "The DEIS is 1000 pages long, but it's so vague that it’s impossible to fairly assess what the Army wants to do. They want to conduct many more in-lab and open-air tests, but won't say with what and when or under what conditions until future plans and studies are completed and rubber-stamped by the brass. There is no independent oversight of this facility, and given its penchant for secrecy and its track record of exposing civilians and contaminating the environment with its biological, chemical, and radiological tests, Dugway can’t be trusted with such blanket permission to expand programs and missions. "Military watchdogs say it's been tough over the years getting a straight story out of the Army's Dugway Proving Grounds. The sprawling facility has been home to open air testing of the worst poisons known to man and nature.........."
"Inside the secret labs at Dugway is a deep-freeze treasure trove of deadly agents, dubbed Pandora’s Icebox. Military watchdog Steve Erickson says: "Anthrax? Yes. Black plague? Yes, and many others. Fever. Lots of fever." ".........In the end, it's critical there be some independent oversight of facilities like this; they can't simply be allowed to operate in complete secrecy." 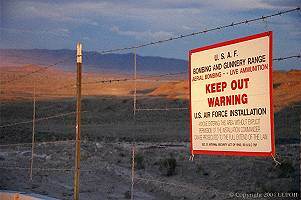 ...Excerpt: "All U.S. field test sites were abandoned at the end of the war—with the exception of Dugway Proving Ground in Utah. From 1951 to 1969, hundreds, if not thousands, of open-air germ warfare tests were conducted at Dugway on human volunteers and animal test subjects.11 Many of the aerosol dispersal tests during the Cold War introduced non-indigenous diseases (or increased the geographic range of indigenous diseases) to Utah and surrounding states, including encephalomyelitis, Rocky Mountain spotted fever, psittacosis, Q fever, anthrax, brucellosis, plague, tularemia, and hydatid disease, all of which are now considered endemic among the native wildlife. In 1959 and 1960 an epidemic of Q fever was found among Utah desert wildlife, but it is not known whether the disease was a result of Dugway’s human and animal field trials, which began in the early 1950s. The Utah Health Department has also reported cases of Q fever among humans—all subsequent to the 1955 human and animal field tests and releases at Dugway." Little progress has been made to date in identifying, let alone containing or eliminating the contamination at Dugway, despite the requirement to do so established in the Defense Environmental Restoration Act passed by Congress in 1986. Even less thought and attention has been given to defining the nature and extent of the problems caused by tests at Dugway and other sites around the world. Bioweapons tests tainted sites around the globe. Will the mess ever be cleaned up? Obviously what you witnesses was a military/Shadow Government weapons test. The symptoms you experienced are consistent with ionizing radiation exposure and partial compromise of the immune system. I cannot say if your health were compromised on a long-term basis. If symptoms don't persist, you probably "escaped the bullet." Apparently, extremely high voltages were used. Whether the beam was pumped laser (doesn't look like laser), scalar, electromagnetic particle-beam, or something else is not clear. Director, Star Kids Project, Ltd.
Amazing photographs! I am concerned that you and your associates were affected in some way by invisible radiation. That doesn't sound good. I had something similar happen to me and associates near Pine Bush in 1995, but it was very transient and not directly associated with an AOP or light phenomenon. We each felt nauseous, one had a headache, while another felt muscle discomfort. Soon thereafter we had an encounter with the Manta Ray. Do you have any idea what this might be? Is it firing of a Rocket? Or is it the firing of a lazer bolt. With all of the meteor activity, could they have been trying to shoot at some UFO or possible rock in space? Were they trying to bring down satellites..
Do you have an idea of what it might be.. This is intriguing.. and might be show worthy.. or at least news worthy..
Photo: above is several of the separate events photographed placed together for comparison. 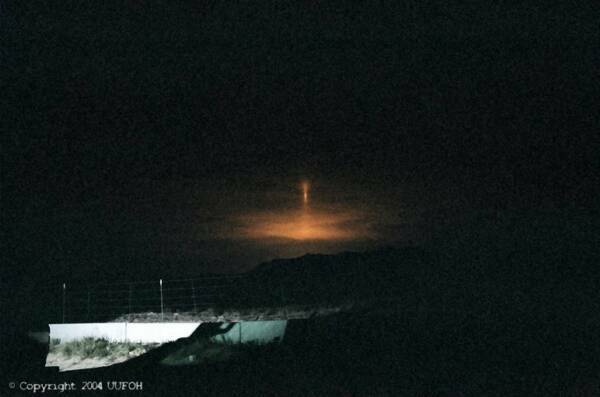 Photo: Another shot of the "Beam" this one shows the fence line or border of the "Bombing Range"
" Who's Playing god?" - Utah, The New Area 51? Well its looks like its the truth doesn't it? Our effort to expose the truth at Dugway might have touched a nerve with the Army, It seems that they now want to expand their borders. The area where we witnessed this event is on the list of proposed ares for expansion. It's being called by some "the new Area 51." And it's in your backyard. ...Warning signs are in the works for the UTTR. This involves the UTTR southern area, south of I-80. Nearby is an area called Knolls, which has extensive sand dunes that are popular with recreationists. Possible connections to what UUFOH witnessed at UTTR? ..activities, including “lethality and propagation testing” for the Army Space and Missile Defense Command. The Air Force also conducts ASAT-related directed-energy research in several other program elements scattered throughout the defense budget. 5 total UUFOH Team members attended that night we said "what the bleep?" 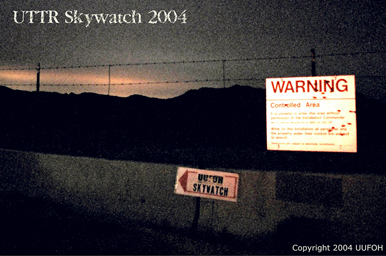 We witnessed some sort of test at the UUFOH Skywatch Friday night at the UTTR 'dune' location that was impressive to say the least. Looking South- South West, from the border, (fenceline) We saw a large beam of light going straight up, a huge amount of light that flickered intensively surrounding it, ( reminded me of a arc welder but on a grand scale) a few minutes long in duration, (3-5 minutes) then suddenly shut down. in which the sky would become completely dark again. - the smell of ozone and a strange burning like smell. - possible and most likely camouflaged surveillance (security patrol) in area. - bombing? heard in the morning but not seen. - some 35mm photo negatives/ film showed strange green lines or marks, on numerous pics. The Photo processor said it might possibly have been caused by radiation or x-rays. WOW! Impressive power display! Never seen anything like it. but was concerned a bit about the amount of power displayed and our safety of being exposed to it. Were we in any rad exposure or health danger? other? > I have more weirdness to come about the last skywatch. I was wondering about how your pictures turned out from the skywatch. Most of my video and pictures are garbage, do you have the same problem? And, how's your health. We were exposed to some nasty radiation and I'm wondering if your OK.
> I had some problems with the development of the pictures. I asked about the problems with the clerk and she thought that I had been exposed to x-rays. Have you, or anyone else, had any problems with your pictures? > .....just wondering if you started having any allergy symptoms after Friday. It may just be a coincidence, but I am getting clobbered by allergies starting Sunday. > the 'Dugway Lights'. rumoured code words from Predator to Pegasus keep popping up. ... a smaller ground version ....When aimed and focused into a large hostile crowd and fired, the resulting effect is an immediate immobilization of the crowd. Of course, the case study's have not concluded if any after effect's or injuries remain to those in the crowd. ......cannot see how this weapon can be used without causing some sort of blindness due to the intense light that you may have witnessed. > No I haven't noticed anything other than the minor sunburn. The primary mission of Dugway Proving Ground is to plan, conduct, analyze, and report the results of technical tests and studies; especially in the areas of chemical defense, biological defense, incendiary, smoke and obscurant systems, and environmental technology testing. Dugway also provides test expertise, services and support for all authorized customers, including United States and foreign governments, as well as non-governmental organizations. In addition, Dugway is a major range and test facility for chemical and biological defense testing and a reliance center for the U.S. Department of Defense. > This should be a wake up call for Utah residents, such a open display of secret, even harmful testing, is further proof that the Dugway Proving Ground facility isn't concerned about public exposure or safety. Steps need to be taken to oversee activity at DPG and the Deseret Chemical Depot. "Just Another Human Test Subject for Dugway Proving Ground"
The beams we observed fanned out across the winter sky after sunset. We didn't hear any sounds during the event and it did not last any longer than 10 minutes and of course ceased right as I was affixing my camera to a tripod. We were in the middle of no-where on deserted paved roads that went on for miles between low scrub and canals. Had a good view of the horizons. I checked around and no airports were in the area. Having worked with Laser Ranging Crews I knew what was involved in doing what I was seeing and also the FAA clearances needed... I could not attribute the Laser display to anything else going on like a concert somewhere as again, we were in a remote area LOL. I appreciate comments regarding beam effects observed such as these. I don't think they are reported that much as afterall most people stay indoors out of the wilderness areas (except me). I know of several large triangle sightings over the years. Florida has been pretty quiet lately. Oh, I see the rationale for doing the beam displays down here in the winter months as there is much less humidity then and other aerosols to degrade the beams. Also, the glades would provide a nice "cool" temp wise area to work in, again, so as not to cause interference to whatever it is they were/are doing with those beams. is it just me or has the UFO world been a tad quiet lately? Aliendave made arrangements with a well respected & experienced remote viewing organization, The Utah Institute of Remote Viewing/ Utah School of Hypnosis for a special blind target to be viewed by their RV Team . Objective: To have this event remote viewed and have the data collected in that session be released at the SLC MUFON/ UUFOH December meeeting. 3- If this event was space related, and if so how. 4- and If indeed UUFOH witnessed and photographed UFOs in the area during the event. - What the UUFOH Team witnessed was a test. A test of a weapon, a space weapon. - They stated that this particular time (date of event) it was testing how far it could reach. So....... in other words how far out into space it could go. - They also found that this weapon is not for 'defense' but for aggression. - It might be nuclear powered -100000 megawatt? - It does place in a category of 'dangerous' - to be in the general area while its firing. - It did have adverse health affects on the UUFOH Team that watched the event that night. - The RV team also explained that there were 'others' watching this event and that some of the lights we witnessed and photographed were 'not ours'. - The RV team also mentioned that a lot of misdirection is being carried out at Dugway, UTTR, MAAF, etc. volunteering their time and skill, and for helping us shed some light on and about this otherwise unknown event. UUFOH will continue to update this article and report as information comes in or is obtained. - please contact us if you have any infomation that relates to this event / test / weapon. l Story was aired on Fox 13 News Feb. 7th 2005 -9pm newscast. Reporter Steve Baron told Utah in his excellent peice, that the photos and video we shared with him was sent to the military, they acknowlege they recieved them but no comment on what it was other than it was an experiment conducted by a military contractor. Everyone that has been questioned by Steve said it was a weapon test. He also noted that the area were UUFOH witnessed this event is one of the areas were Dugway wants to expand and take over so any future "tests" will remain private. Was was seen and photographed is still a mystery. Fox 13 Reporter Steve Baron sent these photos to Paula Nicholoson, Public Affairs Officer for Dugway Proving Ground, said Fox 13 had sent her some of UUFOH's photos for comment. 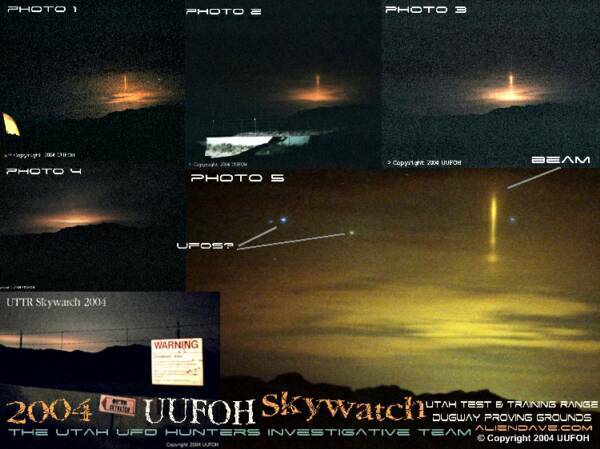 "First of all, from the photos they sent me, I can't verify that these were even taken at Dugway," she said. "But I can tell you that we did have some field artillery units out here that were being shot, and there was some testing going on during those dates, June 11 and 12. And they were units from the Utah National Guard." Now it is fact that at any given time there are up to 30 military contractors at UTTR doing whatever they want... Dugway has no oversight . signed by Defense Secretary Donald Rumsfeld in January 2001. That policy, however, is classified as secret. EAGLE effort is underway at the Air Force Research Laboratory's Directed Energy division, sources there confirm. Also under research at the lab is the Ground-Based Laser, which, according to the Air Force report, would shoot "laser beams through the atmosphere" to knock out enemy spacecraft in low-earth orbit. 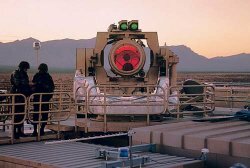 Ground-Based Laser: Would propagate laser beams through the atmosphere to Low-Earth Orbit satellites to provide robust defensive and offensive space control capability. and we want to show you that TRUTH." 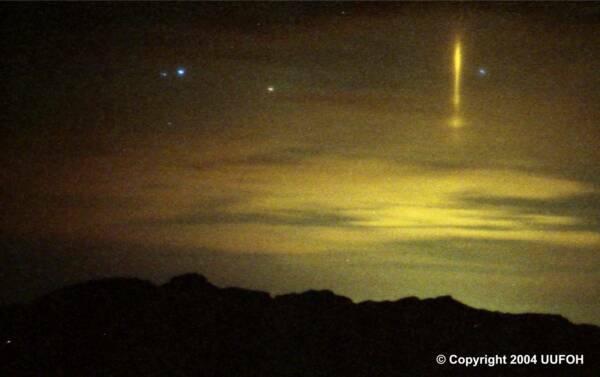 My Soldiers and I witnessed what I think is some sort of natural phenomenon in the sky over Iraq.